Davao City Vice Mayor Paolo “Pulong” Duterte today, June 14, took to social media to hit at government agencies handling vehicular traffic, hours after ten people were killed in a deadly van-truck collision at a city highway. Speed maniacs continue to litter highways and roads with dead bodies in tragic vehicular accidents because traffic enforcers take bribe money to close their eyes on speeding violations, according to VM Duterte. 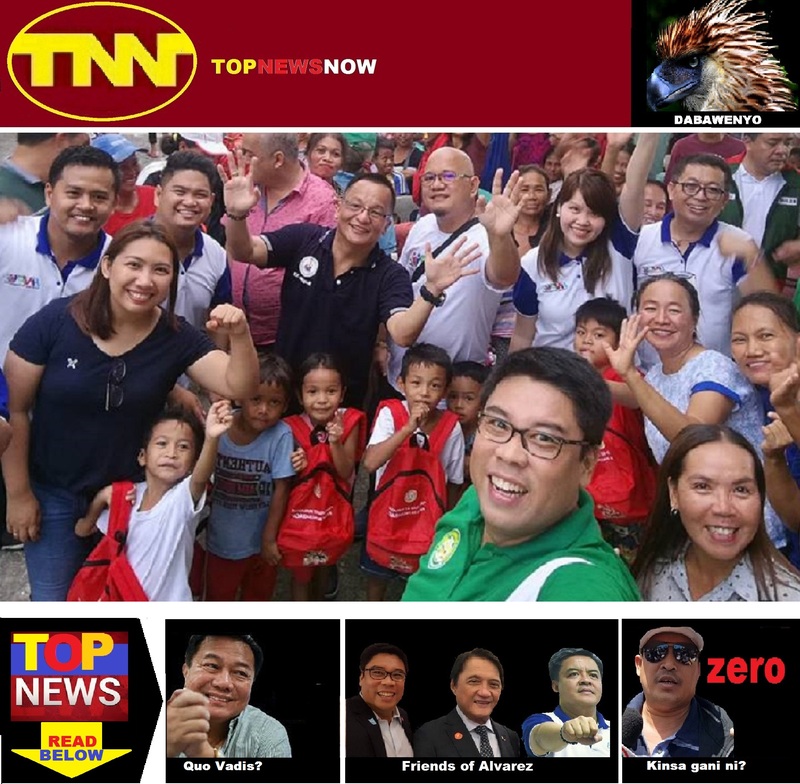 He named the agencies as the Land Transportation Office (LTO), the Land Transportation Franchizing Board (LTFRB) and the City Hall’s City Traffic and Transport Management Office (CTTMO). VM Duterte said the agencies have failed in implementing the city’s Speed Limit Ordinance, which could have prevented the deaths. LTO, LTFRB and CTTMO are in the frontline of implementing the ordinance. “The speed limit ordinance of Davao City is aimed specifically at putting an end to deadly vehicular accidents in the city,” VM Duterte posted on Facebook hours after the early morning incident. Ten people were killed while 7 others were injured in the collision between a passenger van and a 6-wheeler cargo truck in Bunawan District. The passenger van from Monkayo, Compostela Valley was on its way to the city when it overtook another vehicle and crashed head-on with the 6-wheeler truck in Barangay Mahayag, about 20 kms from the city proper, at past 5:00AM, initial police investigation showed. Among the dead was the van’s driver. Nine passengers of the van died on the spot. The tenth fatality died at the Southern Philippines Medical Center. “When it was first implemented four years ago, we saw a remarkable decrease on deaths from vehicular accidents. This year though, we again observed an increase on incidents of vehicular mishaps. Just this morning, several people perished while more were injured when a passenger van collided with a truck.” VM Duterte wrote. “It seems that authorities have again faltered in their duties and obligations,” he adds in his Facebook post. Armed with Speed Guns, the LTO-LTFRB-CTTMO anti-speeding joint operation catches violators of the Speed Limit Ordinance that pegs speed limit at 60kms/hr in the national highways and 30kms/hr in the downtown city roads. The vice mayor said he was not wanting in dishing out reminders to the agencies to strictly implement the ordinance in order to discipline speed maniacs and prevent tragic vehicular accidents. Apparently, his constat reminders to the agencies went unheeded. “Dugay ug gikapoy na ko cge pahinumdum sa LTO, LTFRB, ug CTTMO nga disiplinahon ang mga van drivers entering Davao ug mga bus drivers ug labi na mga jeep nga Toril ang biyahe,” he posted. The Toril to downtown route is the most notorious in vehicular accidents, mostly involving Public Utility Jeeps (PUJs), that inspired the passage of the anti-speeding ordinance. After today’s deadly accident, VM Duterte said he expects the personnel of the agencies to make a show with their presence in the roads watching out for violators. “Wa nako kabalo kung buta mo o bungol. Karon nga naa napod nangamatay mag atik atik napod mo og dakop.” VM Duterte posted. The vice mayor said the Speed Limit Ordinance is not properly implemented because speed maniacs pay their way off traffic personnel to avoid being slapped with speeding violations. “Mao di madakpan ni mga van kay naay under the table sa mga traffic officers. Yes that is an accusation because I have informants, “ VM Duterte posted.